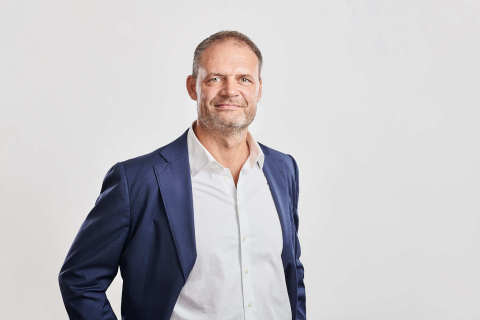 Steen Vangsgaard has joined Primex Pharmaceuticals from Mylan Pharmaceuticals, where he was VP, Area Director. Prior to Mylan, Mr. Vangsgaard was EVP, Commercial Affairs at Bavarian-Nordic. He has extensive international leadership experience in growing sales and enhancing profitability of generics, branded pharmaceuticals and OTC portfolios. Additionally, he has background in business development and operational side of business. “I look forward to working with our sales and distribution partners in anticipation of making ADV6209 available to children who face surgical intervention and emergency treatment. It is particularly gratifying to join Primex at a time where we are preparing to help reduce pre- and post-operative trauma in children and improve efficiency in trauma centres and operating theatres,” says Steen Vangsgaard. At Primex, Mr. Vangsgaard is responsible for global sales. His first effort will be the sales force and launch of ADV6209 in the Nordics. He will be part of the Executive Team headed by CEO Kari Sarvanto in Zug, Switzerland. A portfolio of strong, trusted anaesthesia products from propofol-based products acquired from Bayer, to a novel oral solution for paediatric procedural sedation, helping patients undergo a wide range of medical procedures. Primex Pharmaceuticals will continue to identify and acquire new medications that complete the ‘Triad of Anaesthesia’. The group includes a range of dental products and anaesthetics under the OGNA brand. Primex Pharmaceuticals' global partner network operates in over 40 countries. The company is headquartered in Switzerland; all Primex products are manufactured in Europe. Primex Pharmaceuticals has proven underlying business operations and historical strong revenue growth.